1. In a medium-sized mixing bowl, put all ingredients together. 2. With a handheld electric mixer, mix until smooth and combined well. About 1 minute. The batter looks like the consistency shown in a photo below at the end of the post. 3. Oil the waffle iron well. 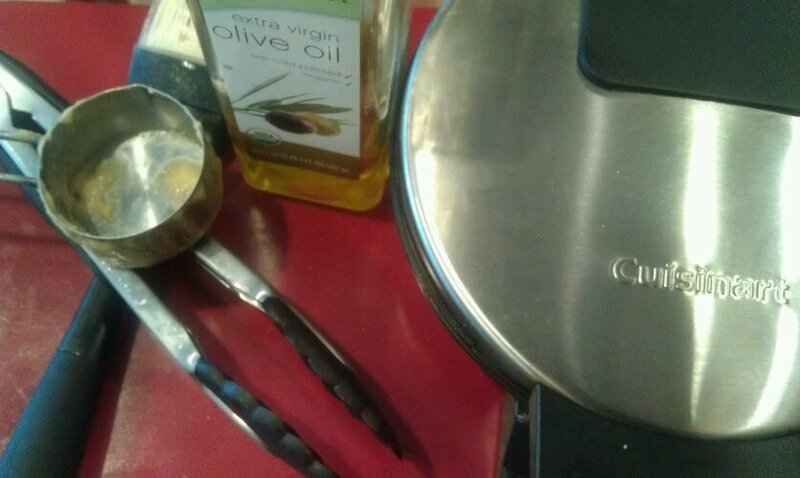 I use olive oil generously, but not enough to “stand” in the wells of the waffle iron. 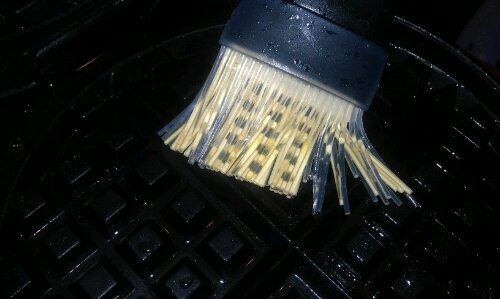 I use a brush that we use for brushing on marinades when grilling to get down into wells. 4. 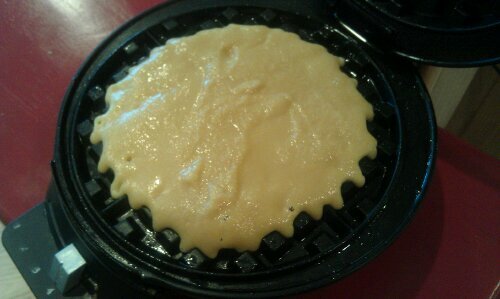 Ladle the batter onto the waffle iron. I use about 1/2 cup for each waffle, more or less, but I use a 1/4 measuring cup to put the batter onto the waffle iron in 2-3 different locations on the iron. 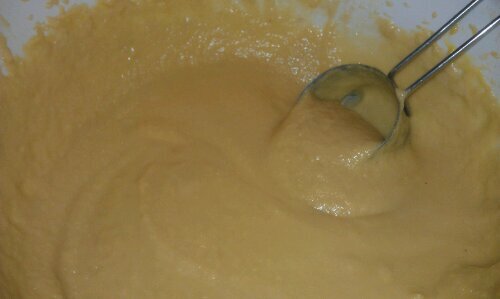 Then I “smoosh” the batter around a bit to “connect” the dots. 5. Close iron and allow to cook until waffle iron light goes off. I get mine out with silicone-lined tongs, a silicone spatula, or a fork. 6. Serve with your choice of syrup. We do use maple syrup, despite the fact it’s “illegal” on GAPS/SCD, but only because my dad makes and sells maple syrup. It’s free to me! Using warmed honey diluted with a little warm water to thin it and a bit of mashed strawberries would be nice, too. The consistency of the waffle batter. How I get the waffle iron well-greased. How much batter I use on the waffle-iron. 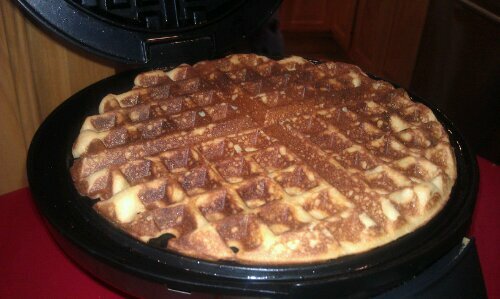 Photo shows how filled the waffle iron is with the amount of batter I used. This entry was posted in Recipes and tagged almond flour waffles, GAPS breakfast, gluten-free waffles, Grain-free breakfast, paleo, primal, SCD, SCD breakfast, whole 30 on February 7, 2013 by thehomeschoolingdoctor.